hen Mizael Surui was born, his parents considered throwing him into a heap of trash. The couple lived in a shack made of corn stalks tied together like beach mats. Their makeshift walls were tied around wooden poles set in a rectangle shape. The tin roof kept the rain off the dirt floors they slept on. His mother, Ruth, was 20 years old. The bright-eyed child was different. His neck was short and the joints in his little fingers were spread out, resembling a frog’s hand. Even worse, Mizael was born with clubbed feet. It was unclear whether he would ever walk. Ruth’s pregnancy had been problematic. Various doctors said her child would be born without a head. They warned her that they both wouldn’t survive the delivery. The expecting mother was giving up hope. She prayed each night, desperate for God’s word. Mizael was born in 2002. Despite his birth deformations, the resilient baby boy was healthy. Now, Ruth stood in the trash heap, safely clutching the newborn in her arms. Mizael smiled at Ruth, his tiny hands reaching for his mother’s warmth. She smiled back, tears in her eyes. He was precious. In that moment, she knew she had to save her son. The family quickly returned home, determined to find a solution. 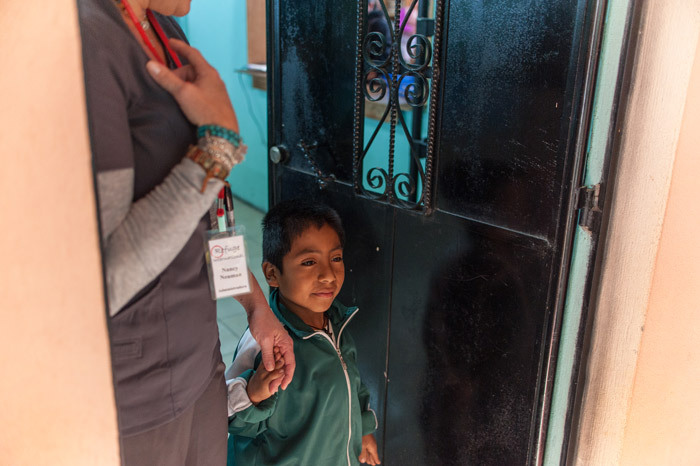 At 12 years old, the child now strolls proudly through the spacious medical clinic in San Raymundo, greeting the medical team that saved his life. His mother follows closely, a few steps behind. Mizael is one of several children being sponsored through Refuge International’s Saul (Asked) Project. The project, which was named after its first benefactor, Saul Garcia, mainly deals with children who suffer from severe orthopedic problems, such as improperly healed bones and growth deficiencies. In Hebrew, Saul means "asked." In 2005, Saul’s family asked Refuge International for medical help. The child was born with bilateral club feet, which made it difficult for him to walk, and impossible for him to wear shoes. 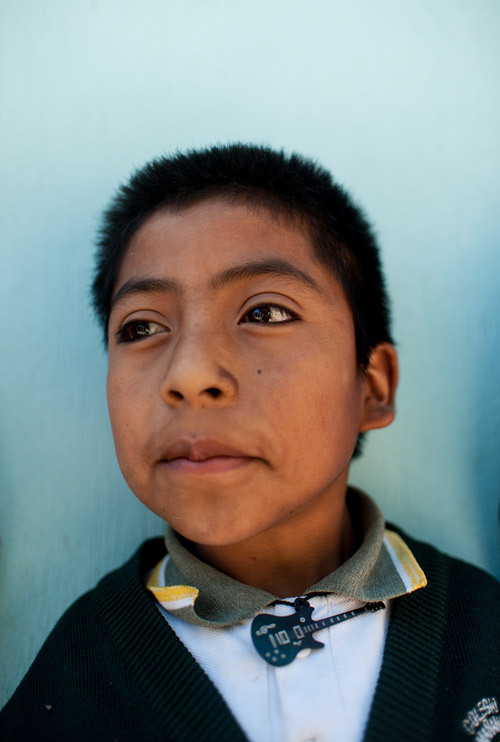 Unable to afford treatment in Guatemala, Refuge International partnered with Scottish Rite Hospital in Dallas to sponsor Saul’s medical treatment. Saul received surgery in June 2005. Four months after arriving in the United States, Saul put on his first pair of shoes. Scottish Rite performs free surgeries for the Saul Project on children who are under 18 years old. One family member over 18 years old must accompany the child, who is typically the father, according to Dr. Ken Eveland, vice president and chief surgeon of Refuge International. “Most of these kids have multiple siblings so it’s better for the mom to stay at home and hold down the fort,” he said. The children undergo complicated surgeries that require months of treatment and follow-up visits. Refuge International takes on the responsibility of arranging visas, plane tickets and appointments for the family. The organization also provide the parent/family member with a job so they can save money to take home to Guatemala. The total cost for paperwork and care for each child is approximately $5,000. When Refuge International first met Mizael in 2008, the 8-year-old child stood at about a foot and a half in height. Mizael suffered from bilateral clubbed feet, a relatively common birth defect, occurring in about one in every 1,000 live births. The condition rotates the feet internally at the ankle. Without treatment, people with bilateral club feet are forced to walk on their ankles or on the sides of their feet. The surgeons at Scottish Rite were able to correct Mizael’s feet in 2011. He can now run around and play with his with siblings, attend school in the village and lead a normal life. Casas Por Cristo, a non-profit organization based in Mexico, heard about the Saul Project, and contacted Refuge International about contributing to the cause. They built Mizael and his family a new house. The three-bedroom home is outfitted with concrete floors, wooden walls and a steel roof. Refuge continues to sponsor Mizael and his family. They fund his family’s private education, paying $200 a year for tuition, uniforms and textbooks.